Turin is a very elegant city, filled with stately buildings, grand boulevards, and attractive parks that some might say rival Paris. 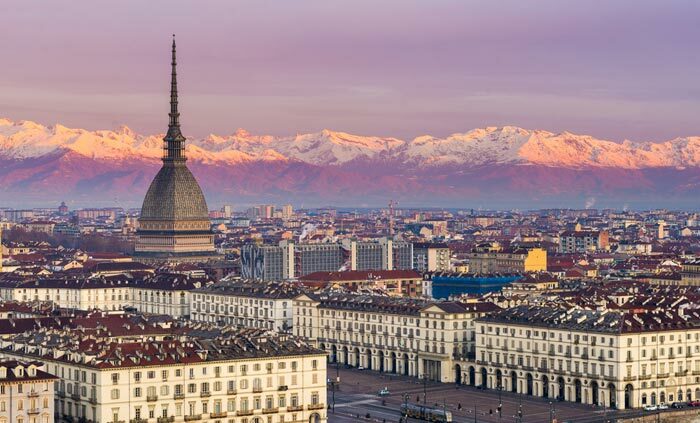 But with Turin, it’s only in more recent years that this city, the capital of the Piedmont region of Italy, has become a tourism hot spot for visitors from around the world. Turin is not just a place where you can wander along its streets and soak in its atmosphere; it’s the home city of the FIAT motor company, and it gave the world the first saleable hard chocolate. 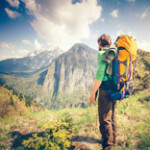 Come discover all that this appealing city has to offer, while enjoying the scenic backdrop of the snowy Alps. Our top 10 things to do in Turin will have you packing your bags, ready to go! 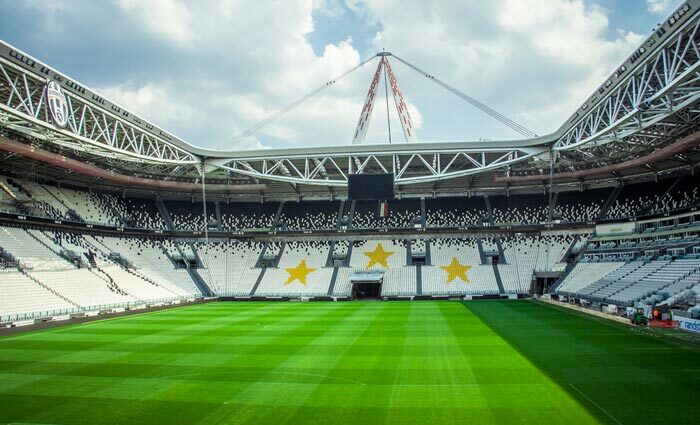 A tour around the impressive Juventus Stadium is one of the top things to do in Turin. Built between 2009 and 2011, this modern stadium is fully seating and has a capacity of just over 41,000. Home to world-renowned soccer team, Juventus Football Club, the stadium is open for 70-minute guided tours every day, conducted in Italian, although audio guides are available in English and select other languages. Tours take in the dressing rooms, the pitch itself, and some of the stadium facilities, and once you’re finished the tour, stop by the Juventus Museum to find out more about this popular team. London has Oxford Street, Paris has the Champs Elysees, and Turin has Via Roma! 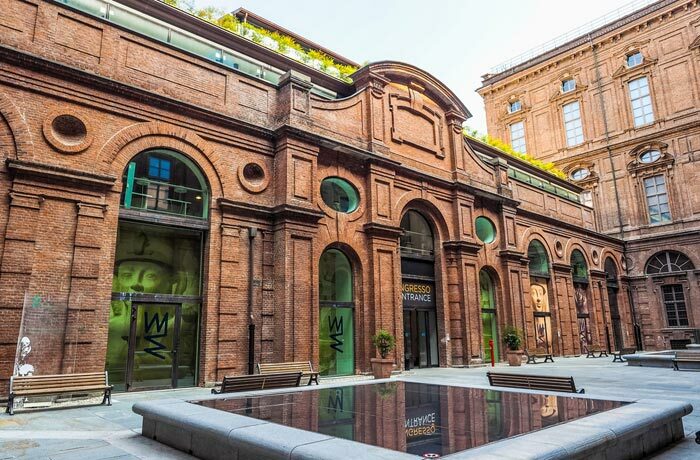 One of the main streets of Turin’s historic center, this glamorous street is one of the best places to shop in the city, especially if you enjoy high-end boutiques and designer-label names. Characterized by arches and covered arcades with marble floors, you can see that it seems no expense was spared when they built this street and its buildings. Add Via Roma to your list of what to do in Turin, and if you’re not here to shop, window shopping is just as much fun! At the heart of Turin sits Piazza Castello, a huge square lined with museums, cafes, and theaters that was designed by Vitozzi in 1564. There are many grand and impressive buildings here, but if you see only one, make it Palazzo Madama. This palace was the first Senate of the Italian Kingdom and gets its name from being the home of two ruling queens – the Madama. The mixture of baroque and medieval rooms are beautiful, and to add to the interest, the palace houses the City Museum of Ancient Art. Like all great cities, Turin has some wonderful parks and of these, Valentino Park is perhaps the best. It’s the second largest park in the city, covering a vast area of 500,000 square meters and was opened in 1856. 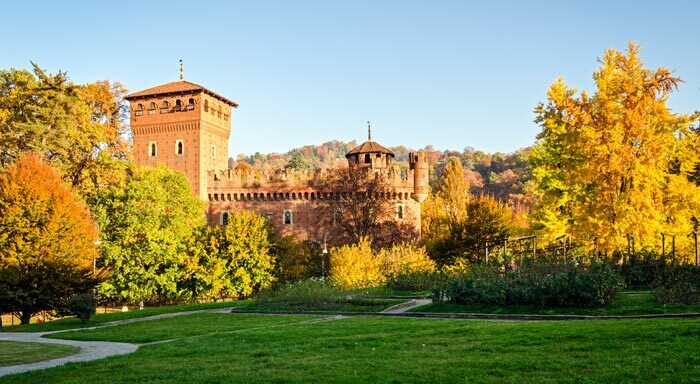 It was the first public garden in Italy and has grown to incorporate a number of other Turin attractions such as the Medieval Castle and Village, the Baroque Castle, and the Botanical Gardens. Come to visit these, or if you prefer, just do as the locals do and sit and enjoy the atmosphere on a warm summer’s day. Just east of Turin, in the small town of Rivoli, is Rivoli Castle, one of the top Turin attractions. 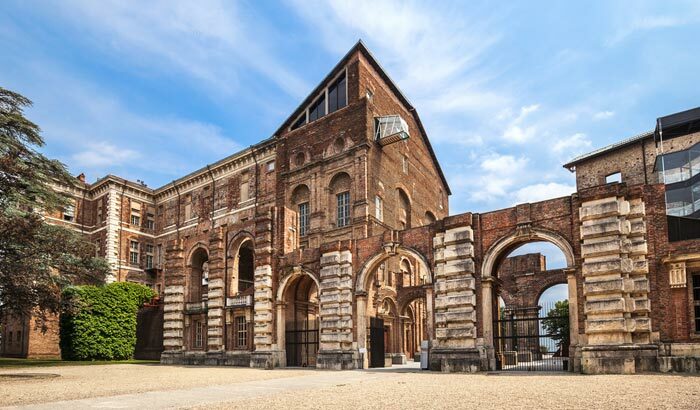 The castle itself is an impressive thing to see, although it remains unfinished to this day, but what’s most notable about Castello di Rivoli is the Museum of Contemporary Art which is one of the most important of its kind in Europe, and a must-visit for fans of contemporary art. Call it Turin Cathedral, the Cathedral of Saint John the Baptist, or Cattedrale di San Giovanni Battista, but whatever you call it, this church is one of the top things to do in Turin. 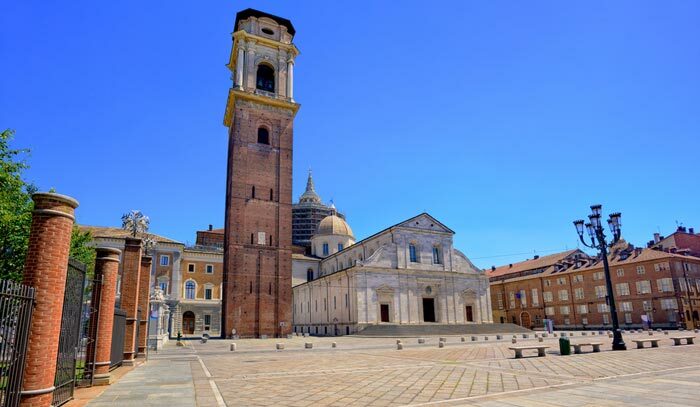 Home of the controversial Turin Shroud, the church was built between 1491 and 1498 on the site of three former 14th century basilicas and, prior to that, a Roman theatre. If you’re interested in learning more about the Shroud, visit the museum just down the street from the cathedral. 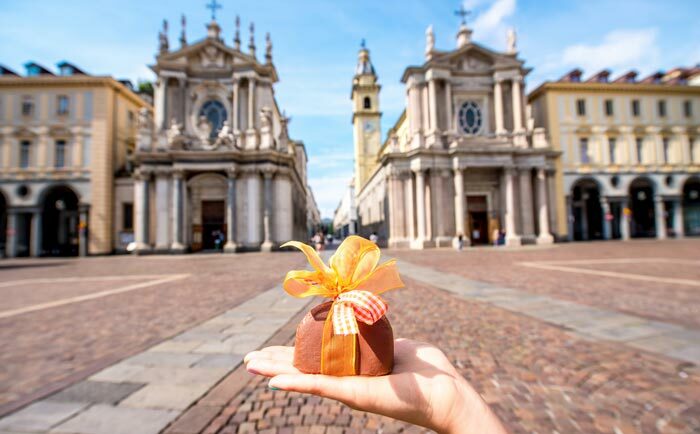 One of the chocolate capitals of the world, Turin has been famous for its chocolate since the 17th century when chocolatiers took chocolate to the next level by inventing hard, saleable individual chocolates as well as the drinking variety and spreadable chocolate too. So, no trip to Turin is complete without sampling something chocolately! Chocolate lovers should definitely join a tour to discover the best of this Turin attraction, visiting historic shops and cafes, and sampling some of the best sweet treats in the city. You don’t have to be a car lover to appreciate the Museo Nazionale dell’Automobile, but it does help! Founded in 1942, this popular Turin attraction has grown over the years to now include over 200 original cars, representing 80 different brands, and ranging from 18th century carriages to the most modern and high-performance cars, including Formula 1. As the birthplace of the Fiat, Turin is a fitting city to host Italy’s national automobile museum, and, as well as the amazing vehicle collection, the museum educates visitors on car design and technology, and around issues such as pollution and congestion. Mole Antonelliana is actually two attractions in one. This landmark building for Turin was completed in 1889 as a synagogue, and was named after its architect, Alessandro Antonelli. 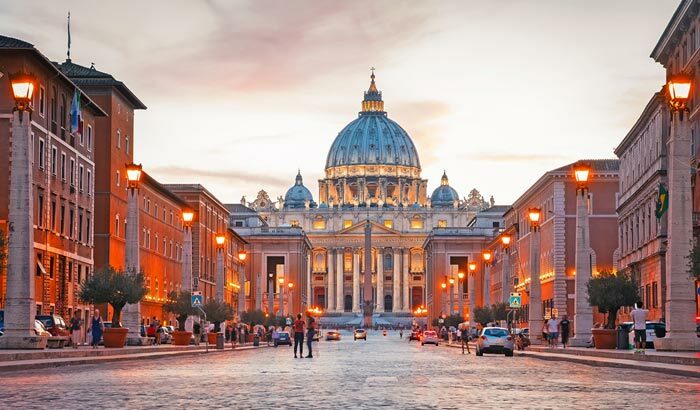 The ‘mole’ part of the name is Italian for a ‘building of monumental proportions’, and this building certainly is monumental! 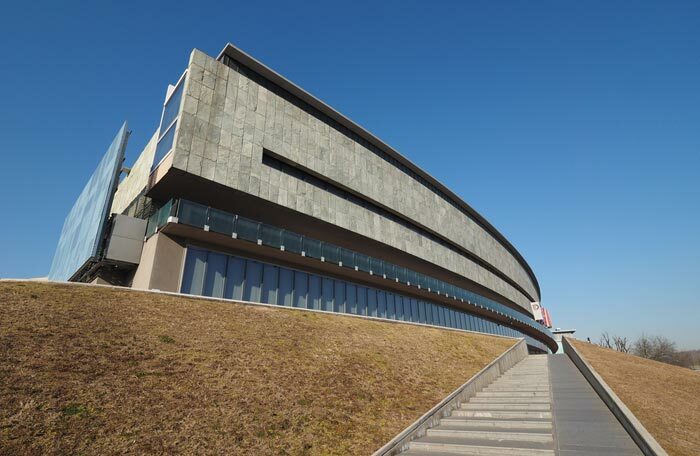 Today it houses the Museo Nazionale del Cinema, which is one of the most important of its kind in the world, and, it’s believed to be the tallest museum in the world too! Go to the top of the 167.5-meter tower via the elevator, and enjoy the views of the city from this top Turin attraction. 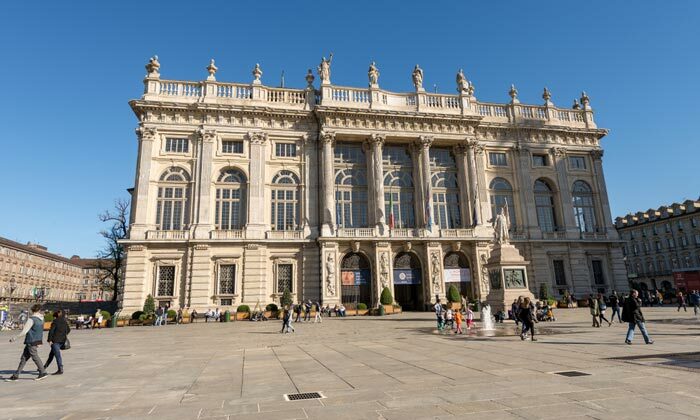 Turin may seem like an unusual place to have the world’s most important collection of Egyptian treasures outside of Cairo, yet here it is! Not only is the Museo Egizio a world-renowned museum, it is the number one attraction in Turin. 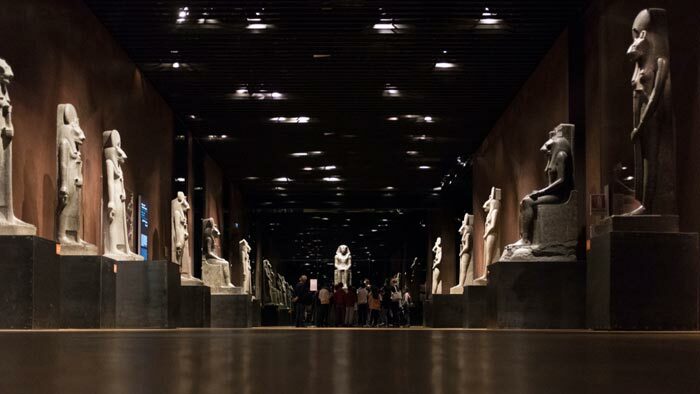 If you have any interest in ancient Egypt, be sure to add this museum to your list of what to do in Turin. A free audio guide and headset is included within the admission price, or just wander around and discover mummies and sarcophagus’ in your own time. You’ll be hard pushed to see everything, with around 30,000 artifacts on display, so it’s advisable to allow a full day in this museum.